Low Price Fiac Workhorse range of Compressors shipped direct from Fiac. 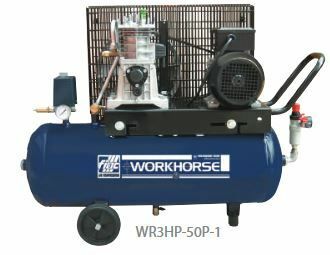 Fiac Workhorse WR3HP-50P-1, 230 volt, 3HP, 50 litre tank compressor. Belt driven Compressor, includes wheels. 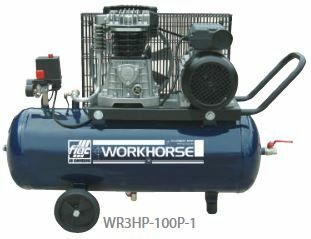 Fiac Workhorse WR3HP-100P-1, 230 volt, 3 HP, 100 litre tank compressor. 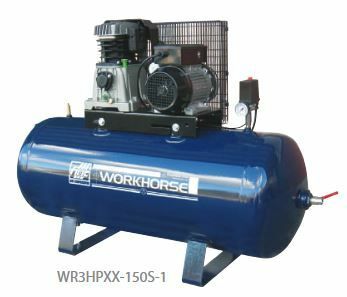 Fiac Workhorse WR3HP-150S-1, 230 volt, 3 HP 150 litre tank compressor. 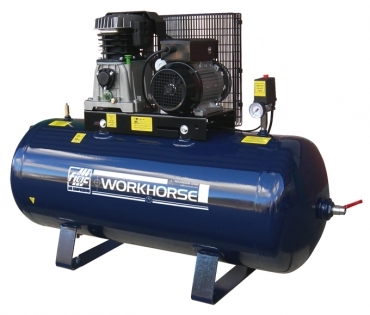 Fiac Workhorse WR3HP-200S-1, 230 volt, 3 HP, 200 litre tank compressor. 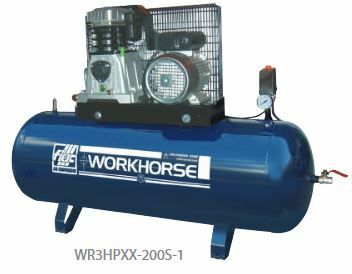 Fiac Workhorse WR3HPXX-200S-1, 230 volt, 3 HP, 200 litre tank, heavy duty compressor. 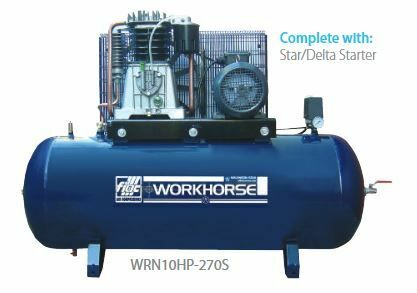 Fiac Workhorse WR4HP-200S-1*, 230 volt, 4 HP, 200 litre tank compressor. Fiac Workhorse WRN10HP-270S, 415 volt, 10 HP. 270 litre tank compressor. 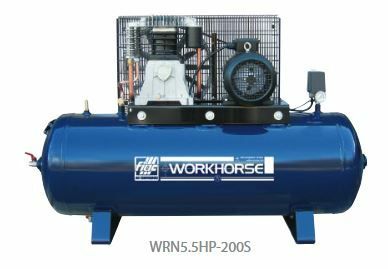 Fiac Workhorse WRN5.5HP-200S, 415 volt, 5.5 HP, 200 litre tank compressor. 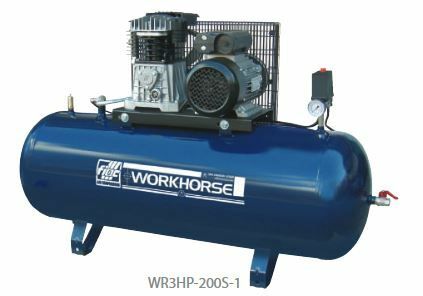 Fiac Workhorse WRN5.5HP-270S, 415 volt, 5.5 HP, 270 litre tank compressor. Fiac Workhorse WRN5.5HPXX-200S, 415 volt, 5.5 HP, 200 litre tank, heavy duty compressor. Fiac Workhorse WRN5.5HPXX-270S, 415 volt, 5.5 HP, 270 litre tank,heavy duty compressor. 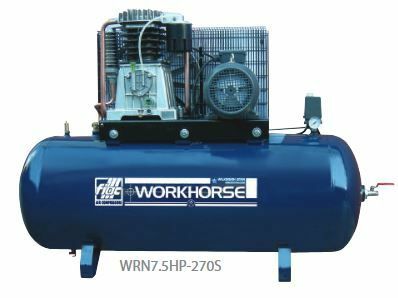 Fiac Workhorse WRN7.5HP-270S, 415 volt, 7.5 HP, 270 litre tank compressor.